We Buy Any Bike London pick up motorbikes on a regular basis. So if you are in London and are thinking, how can I sell motorbike with ease?!.. we are happy to help. Get a quote today from motorbike trader WeBuyAnyBike who offer a quick and easy service for you to sell your motorbike for cash. We are the biggest bike trader in the UK, so if you want to sell your bike online you can trust us to keep things quick and easy. If you’re wondering, who will buy my motorbike, how can I sell my motorcycle quick? We will. Need a motorcycle valuation? Try We Buy Any Bike today! We Buy Any Bike have put together a biker’s guide to London..! 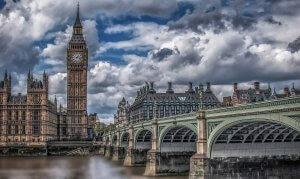 London is the Capital and most populated city in the UK. It is bursting with art, commerce, education, fashion, entertainment, tourism and transport. 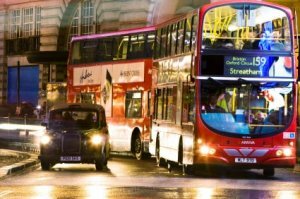 London has an extremely diverse range of people and cultures, in Greater London, there are more than 300 languages spoken. Even though London as known as the rainy city, it actually rains less than Rome! London is a really fun place to be a biker. There is a load of events, exhibitions and biker friendly hangouts! You can get up close and personal with the world’s most exciting new bikes, meet some of your biking heroes and shop for your essential biking gear and accessories. This is the perfect event for people interested in custom built motorcycles. 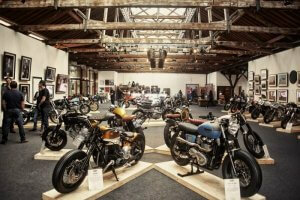 In 2015 the Bike Shed exhibition was held at London Tobacco Dock. There were over 150 custom built motorbikes showing from the new wave scene, there was also art, photography and some great gear. There was some quality food, bar and barista coffee being served, plus a barbershop and even a tattooist! This is one to get in the diary, as this exhibition is getting bigger and bigger! There is a verity of different motorcycle clubs in London, but one of the largest is Ace Cafe London. Made up of people who are passionate about the tradition of motorcycles, cars and rock n’ roll. They have many events going on, ride outs, gigs and also a shop section where you can buy all the branded t-shirts, boots, jeans anything you could want! 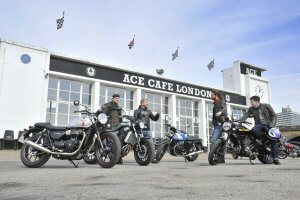 The Ace Cafe London holds an annual reunion event, taking place over three days. This event celebrates the history, culture and style of motorbikes everywhere. People come from all over the world to visit this event and join in on the trade stands, live music and special guests. It’s not to be missed! This route has incredible sections, some really amazing views and roads in the countryside. There are lots of hassles when it comes to selling your motorcycle: finding where to advertise, arranging for people to view the bike, wasting your time when they don’t show up etc. If you are in London and want a quick and easy, hassle free sale of your motorbike you could do a lot worse than using the services of We Buy Any Bike. 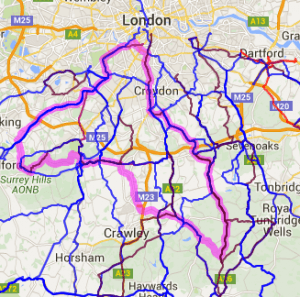 Where to value my bike!… We will collect your bike for free from anywhere in London! Selling a motorbike? 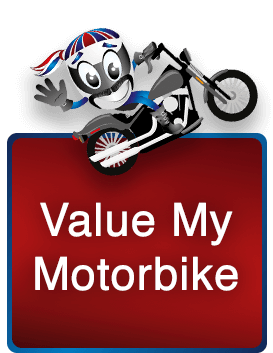 All you have to do is input your bike details and we will give you an instant motorcycle valuation: the price we offer to buy your motorcycle and collect it for free from your home or workplace in London. Watch out for our distinctively liveried vans, and if you have any questions, don’t be shy, just ask one of our drivers for the info, and if you are selling, you might get an offer there and then. We Buy Any Bike offer great prices for used bikes and we are keen to help you out if you are trying to sell your bike in London. Get a Motorcycle Valuation from bike trader, WeBuyAnyBike, and before you know it you’ll have the cash in your pocket. Sell motorbike today! My bike is a lexmoto and is not coming up on the list do you not buy lexmoto motorcycles? Sorry to see you have had some issues with our website. Please could you send some pictures of your bike along with some extra details (i.e. age, mileage, and condition), to [email protected], and a member of our team will be able to assist you further.